إذا كنت تبحث عن فندق بموقع جيد في بورت ستيفنس، فقد وجدت ضالتك في Beaches Serviced Apartments . يمكن من هنا للضيوف الاستمتاع بسهولة الوصول إلى كل ما تقدمه هذه المدينة النابضة بالحياة. يوفر الفندق بفضل موقعة الجيد وصولاً سهلاً إلى أهم معالم المدينة.
. إن Beaches Serviced Apartments حريص على توفير الراحة للنزلاء، فلا يوفر الموظفون جهداً في تقديم أفضل الخدمات وضمان حسن الاستقبال. يقدم الفندق فرصة للاستمتاع بشريحة واسعة من الخدمات بما فيها: واي فاي مجاني في جميع الغرف, خدمات بريدية, واي فاي في المناطق العامة, صف السيارات, غرفة عائلية . لقد جهزت هذه الإقامة الفندقية بعناية فائقة لتوفر مستوى عالي من الراحة. في بعض الغرف يجد النزيل تلفزيون بشاشة مسطحة, اتصال لاسلكي بشبكة الإنترنت (مجاني), غرف لغير المدخنين, مكيف هواء, تدفئة. صممت خدمات الاستجمام في الفندق والتي تتضمن مركز للياقة البدنية, مسار جولف - ضمن 3 كم, حمام سباحة خارجي, مسبح (للأطفال), حديقة لمساعدتك على الاسترخاء والراحة. إن كنت تتطلع إلى إقامة مريحة وهادئة في بورت ستيفنس، فستجد في Beaches Serviced Apartments بيتك الثاني. يجب على النزلاء الذين سيصلون بعد الساعة 5:00 مساءً أن يتصلوا بالعقار مباشرةً قبيل وصولهم؛ حتى يتسنى عمل ترتيبات بديلة. There were a couple of things we were unhappy with: the fan makes a clicking noise and it made it difficult to sleep. We did not have a proper balcony as we were downstairs and around the corner from the main facilitates which was disappointing and we could not sit outside as the people in the next unit were smoking out there. All the facilities one would want,quiet and good location.One minus was the problem with one of the main door locks which should have been attended to prior. Highly recommend diner at the local services club-West Diggers-one of the very best for value and quality we have experienced anywhere and just round the corner. Really impressed by this conveniently location which accessible to any nearby restaurants, Woolworth and sighseeing places. Definitely stay here in the future. We checked in before the designated check in time, our room was totally ready and staff very friendly with greeting us. Very cheap for the facilities including kitchenette, laundry, amenities (from shampoo & conditioner, to coffee pods, teas, dishwashing detergents, towels & milk), pool and even a putt putt course! The units are very clean, comfortable and homey. We felt like we were staying at a friends house not a hotel. Would definitely stay again and will recommend to friends and family if they go to visit the area. A very satisfied customer. A great place to stay and very close to Little Beach. Kym (the owner) was very friendly and helpful. She helped us out in many ways, from providing extra beach towels to suggesting various tourist sites and good places to eat. Apartments were spacious and clean and more than adequate for our needs. If you are expecting spas and marble bathrooms look elsewhere but this would be perfect for a family. Even includes a washing machine. 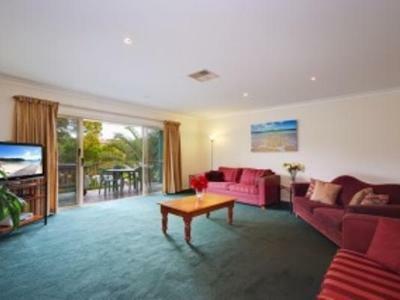 5 minutes walk to shoal bay beach, close to Nelson bay town center. Would stay again. 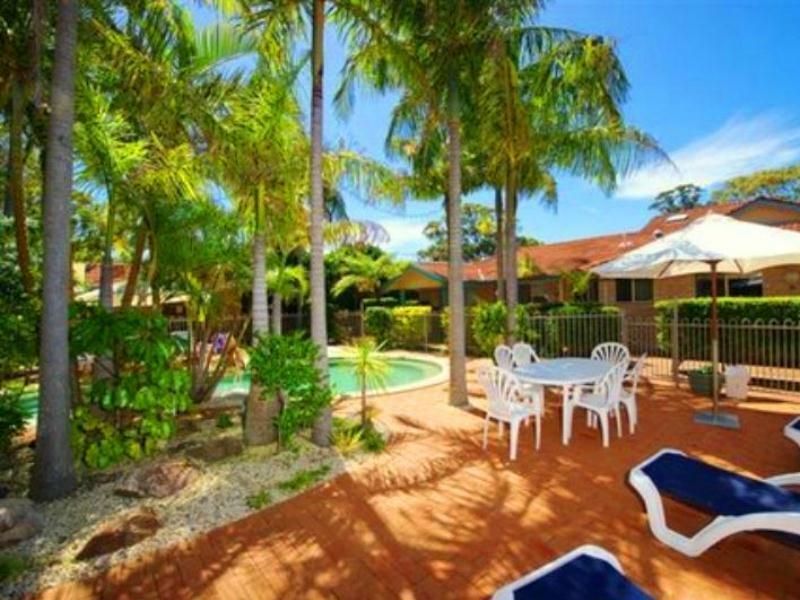 Great property for family, apartments a very spacious and the pool is great for young kids. Our explanation was a bit higher than Beaches appartments. First of all we had to drive to any where we needed to go, the beach or downtown were not in walking distance. The pool looked great in photos but we didn’t bother to try. Also, wifi was not covering bedrooms and my working hours are 24/7 and I was expecting the full coverage. We were not able to stay the night as it turned out, but our apartment was worth the cost as a lovely haven to return to on a very hot day. Our very caring manager accommodated our pets even though Agoda hadn't passed on our requirement for pet accommodation. Beaches is real value for money in a beautiful part of the coast. Loved staying here- a great apartment and we were spoiled with attention. Close to a club to eat. Beautiful comfortable apartments.